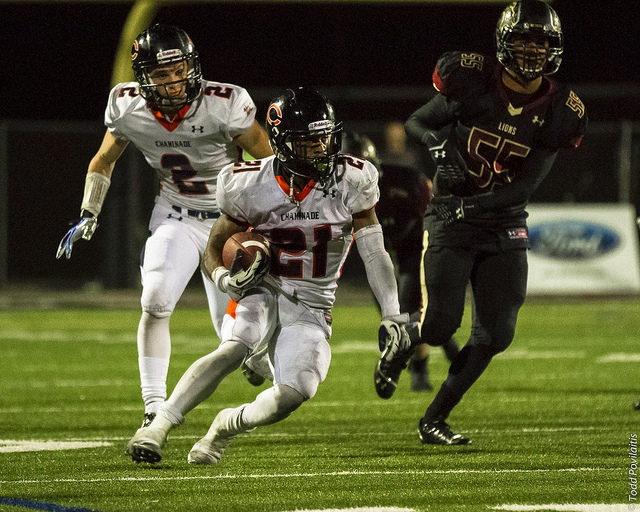 Chaminade Football went on the road, and beat a previously undefeated Oaks Christian team, 21-14. Senior quarterback Brad Kaaya clinched the win on fourth-and-goal, with a one-yard sneak into the end zone. The Thursday night match-up was nationally televised on Fox Sports West. The Eagles are 3-1 on the season, and after a bye week, will face Notre Dame at home on Friday, October 4.